Once again it's New Year's Eve and I'm sitting here typing up my favourite moments from the past year. And what a year it's been. An incredibly depressing one on the world stage (let's not talk about that now) and not as good as 2015 on a personal level but definitely nowhere near my worst year. 1 // A weekend away in Dartmoor - Last late January my Mum and four of our very close family friends rented a beautiful cottage in Dartmoor for a long weekend. They picked my up from Exeter and we spent the weekend eating, playing games and going for walks. It was perfect. 2 // Going to watch the Oxbridge Boat Race - On Easter Sunday this year my school friends and I went to watch our friend Issy row for Oxford in the reserve boat, Osiris, and it was such a fun day. It was incredible to watch Issy and the nicest way to catch up with the others who I hadn't seen since Christmas - we loved the day so much that we've decided to make it an annual thing! 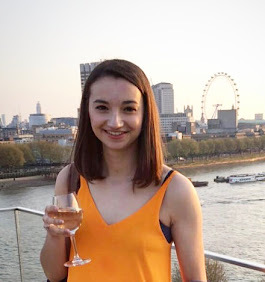 3 // Work experience at Hodder & Stoughton - I spent two weeks in April doing a work placement in Hodder's publicity department and a week in the summer in their editorial department and I had the best time. It was so interesting to get an insight into the industry and it really is true what they say, the people who work in publishing are just the friendliest and kindest. 4 // Getting my first car - In early May this year I bought my first car! It was definitely a life milestone and while I'm still absolutely awful at parking it, having a car has made such a big difference to my life. 5 // Spending a few days in Venice and Verona - After my summer exams this year my Mum and I went to Verona and spent one day visiting Venice. It was our first holiday away together just us two and it was such a lovely few days. Italy is one of my favourite places in the world and so of course this trip was always going to be a highlight of my year. 6 // Radio 1's Big Weekend - On my first year in Exeter I was lucky enough to have the chance to go to Radio 1's Big Weekend which was held at Exeter's Powderham Castle. Getting to see Coldplay live just three rows from the front is something I'll never forget - it was truly the greatest day. 7 // Spending a week with my family in Yorkshire - In early June my sister Tai who moved to New Zealand when I was thirteen came back to England for a few weeks which meant that I not only got to see her for the first time in four years but I also got to meet my two nieces that she's had in that time. It was a lovely week and so special to be reunited with them and my other sisters and Dad. 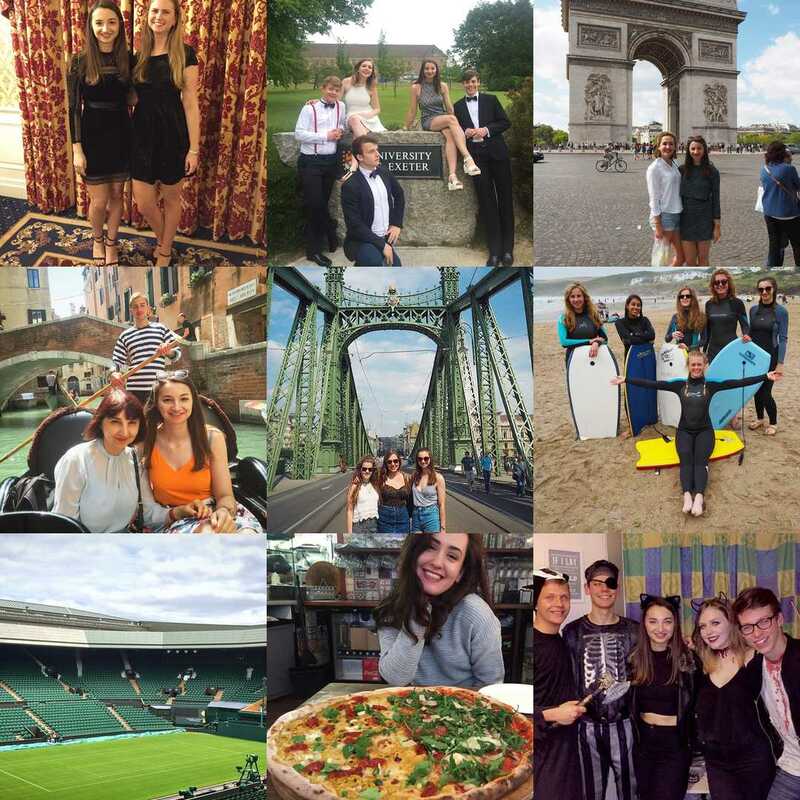 8 // Working at Wimbledon - If you didn't already know it (and going by how much my friends say I go on about it I'd find it hard to believe you didn't), I got to work at the Wimbledon Tennis Championships this year and it was genuinely one of the best months of my life! I met the funniest and most wonderful people, had so much fun and felt so privileged to be able to work there when Andy Murray won - it was amazing. 9 // My trip to Romania - I've been to Romania so many times in my life but this trip was one of the best ones so I couldn't leave it out of a summary of my highlights from this year. 10 // Spending a few days in Cornwall with my best friends - The few days my friends and I stayed in Cornwall were some of the most fun days of the year by far. It was short but sweet and the perfect break away to spend some time together after a year at uni when we'd been spread all over the country for the first time, I only wish we could have spent a few more days there! 11 // Going to Paris for the first time in years - This trip was so lovely. I got to explore Paris with one of my best friends for the first time as an adult, I got to see my Dad's house and spend some time with him and I got to eat all of the French food, so of course it was great! 12 // Travelling to Budapest - To top off all the amazing travelling I've been lucky enough to do this year, I went to Budapest with two of my best friends and had such a great time. Budapest is an amazing and exciting city and one that I've wanted to tick off of my travel list for a long time! 13 // Moving into a house in Exeter - After living in halls for my first year of university, this year myself and three of my best friends moved into a house in September. I absolutely love living in a house, cooking for myself and always having three of my favourite people around so this has been a really good part of 2016. 14 // Getting to talk to my cousin more - As I wrote about in my Romania travel diary post, the trip to Romania this year was made particularly special because it was the first time I got to see my cousin for the first time in fourteen years. Since seeing her then we've been messaging back and forth every so often and it's so nice slowly getting to know her. Family is really important to me so I feel incredibly grateful to have the chance to reconnnect with Maria. 15 // Trying new things - From starting to play a completely new sport in Korfball to applying for a career mentor who works for the civil service and saying yes to a mock group exercise in the Home Office, I've tried to say yes to new things more regularly this year. It's definitely meant I've been out of my comfort zone at times but it's been so worth it because I've had all these new and wonderful experiences. 16 // Making new friends - Both at Wimbledon and just this term at uni I've met some really amazing people. Although at uni I meet people all the time it's rare to click with someone in a way that you know they'll be one of your closest friends so when it happens it makes me incredibly happy. And the girls I worked with at Wimbledon as well as some who've been in my history seminar this year are some of the absolute nicest people who I'm very grateful to have in my life! So there we are - sixteen highlights from my 2016. I really have been so very lucky this year to be able to travel so much, see great live music and experience so many new things surrounded by incredibly wonderful people. It's so important to remember all the things that make us happy when there's so much darkness in the world at the moment, so please feel free to tell me some of your highlights of the year! I'm off for a party at my friend Lydia's house tonight to bring in the New Year and I hope that whatever you may be doing to celebrate tonight that you have a lovely evening and a wonderful 2017! I can't believe it's been an entire month since I last posted. Sometimes life gets in the way and this blog is the thing that has to give when my plate gets a bit too full, which I hate but it's the way it has to be. I think that taking a break from things, even when the break is unintentional, can be a good thing though. It makes you reasses how important to you they are and what you get out of them. And time and time again I find myself back here, writing, so I know there must be something in this blogging marlarky for me! Anyway, since it's been a few months since I wrote my last Currently post, I thought I'd share one today, because what better way to catch up? Reading :: I recently finished Bloom by Estee Lalonde (which I loved btw) and have since picked up Pretty Honest by Sali Hughes. I've really gotten into make up over the past year or so and both Estee and Sali write beautifully so I'd highly recommend them. I also went into my local bookshop yesterday and bought You Will Not Have My Hate by Antoine Leiris whose wife was killed in the horrific terrorist attack on Paris in November 2015. The book is described as a memoir of what that period of his life was like and after he wrote an essay to his wife's killers that went viral on Facebook. I think it will be an incredibly important read. Eating :: All of the food. It is Christmas after all! I've already had about five Christmas dinner meals, one cooked by myself and Ellie at our uni house, and have eaten my body weight in mince pies so it's safe to say I'm making the most of the fact that calories don't count during the festive period, right? Thinking about :: I'm so reflective at this time of year, even more so than usual. Seriously though, what an awful year 2016 has been on the world stage. My heart is breaking every day as we hear more and more horrible news. The horrors taking place in Aleppo are just unbearable and I feel so helpless but I've been reading articles like this about what we can do. While donating doesn't seem like much, it's all I can think of to try and help in some way at the moment. I know Christmas is an incredibly expensive time but, if you can, please consider donating to one of the relief funds listed in the Independent article. Watching :: Still making my way through Gilmore Girls and absolutely loving it. I've just finished series five and the addiction has got to the point where I honestly want to spend every waking hour watching it, if only other things didn't get in the way! I've also been watching endless Vlogmas videos on YouTube. On the one hand I love how much content is uploaded at this time of year and on the other it's so overwhelming trying to keep up with it! Listening to :: Spotify's Christmas Crackers playlist. It has all the best festive songs on it and I've been listening to it on repeat. 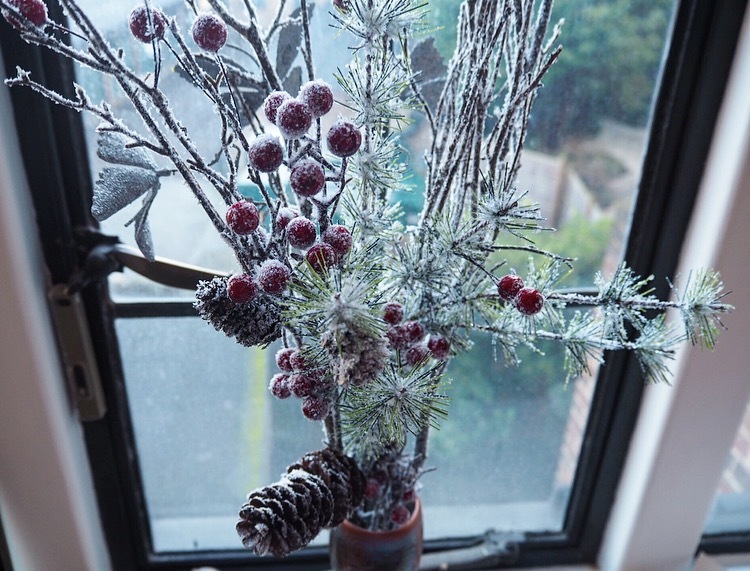 I've been feeling extremely festive this year and this playlist has definitely been helping that! Loving :: Buying people Christmas presents! I've been working in my uni's careers department since September and while I'm usually scrambling around at this time of year trying to get all my family nice presents on a very limited budget, this year I've had a much better budget so I've been able to spend a bit more which makes me very happy. Christmas is by no means about presents for me (although they are a great part of Christmas of course!) but it has been nice to be able to treat my lovely Mum to a few things this year that I wouldn't have been able to before I got a job!